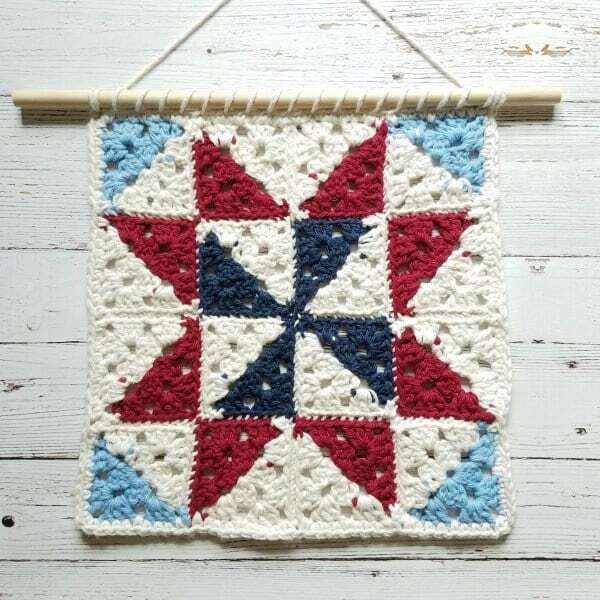 There’s something about crisp red, white and blue that makes my heart sing and my spirit soar! Of course they are the colors of our beloved USA flag and it makes me think of summer barbecues and cookouts, relaxing and celebrating! 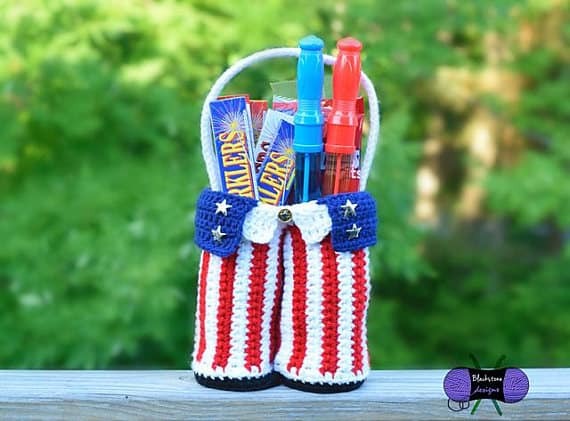 Maybe it was the Flag Wine Cozy or thoughts of the fun we had last year year with the Free Flag Crochet Patterns but I was in the mood for some red, white and blue! 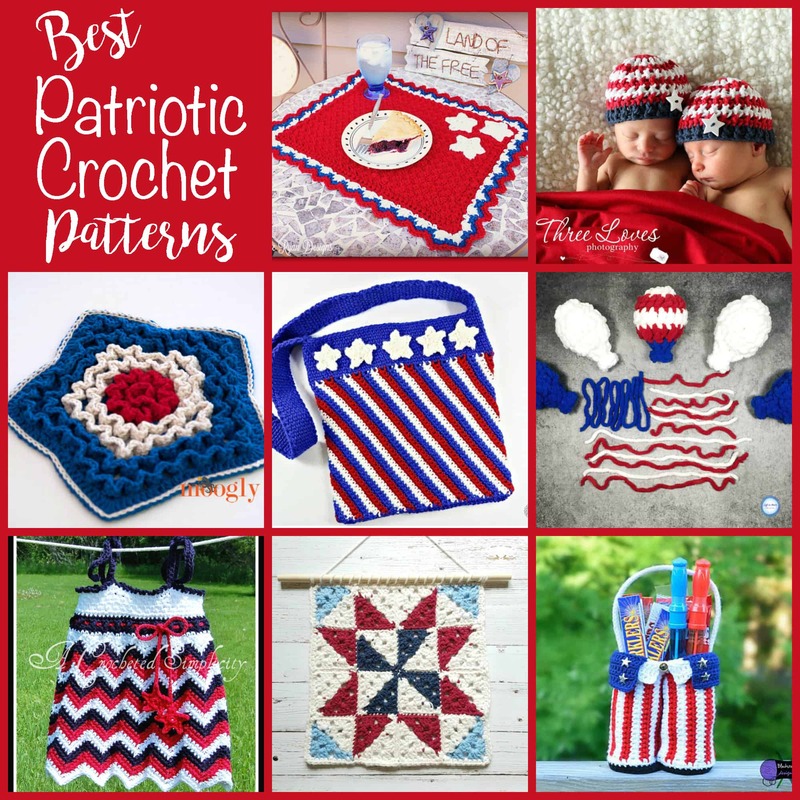 So here is my pick of the Best Patriotic Crochet Patterns from some of my favorite bloggers! 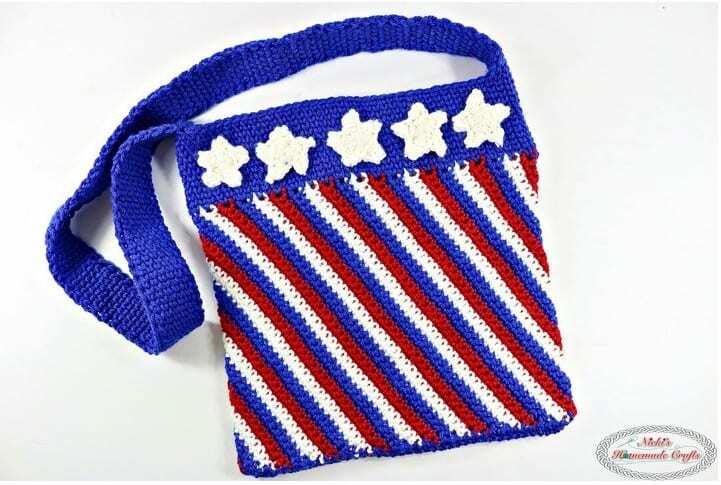 This Cute Stars and Stripes bag is perfect to take to the fireworks or to sport around town! 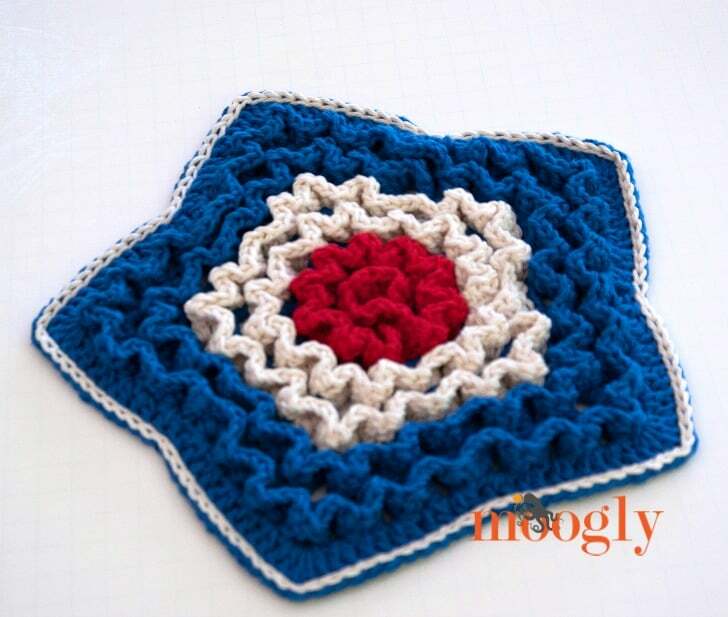 This Star Spangled Trivet is just the thing for your hot summer dishes! Just because you have to do dishes, doesn’t mean you can’t be patriotic about it! 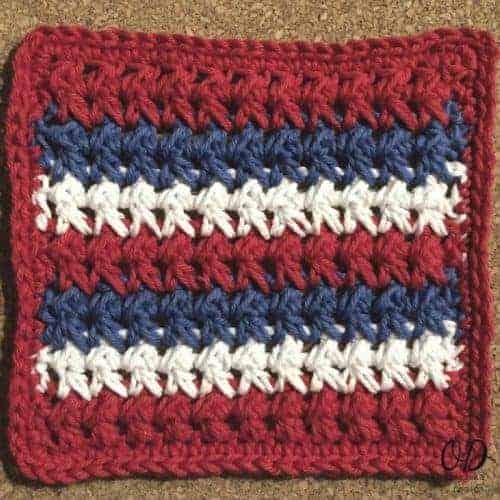 I love this easy stitch dishcloth pattern! I’m loving this spin on a popular quilt pattern. What a fun decoration to hang up for the summer holidays or even all year long! 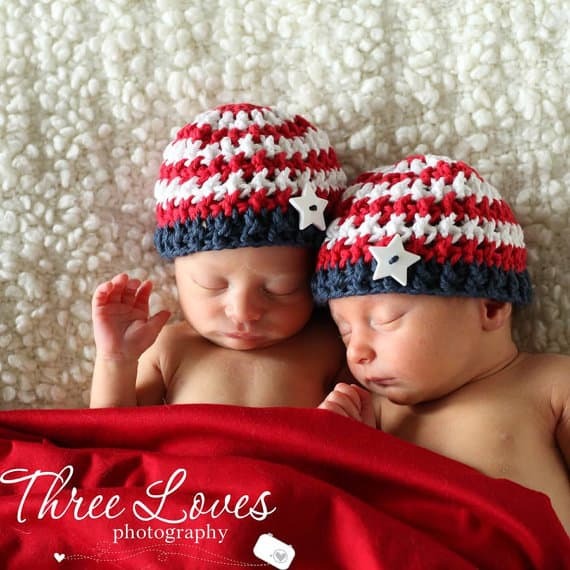 So I’m kind of in love with this adorable hat pattern! In sizes infant to adult what’s not to love about this! What says “holiday” better than a water balloon fight with family and friends?! 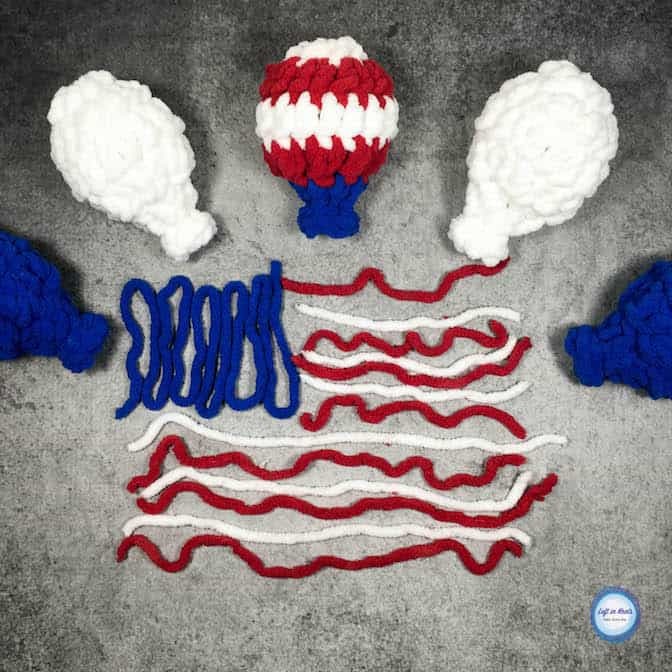 Check out this crochet variation of a water balloon! 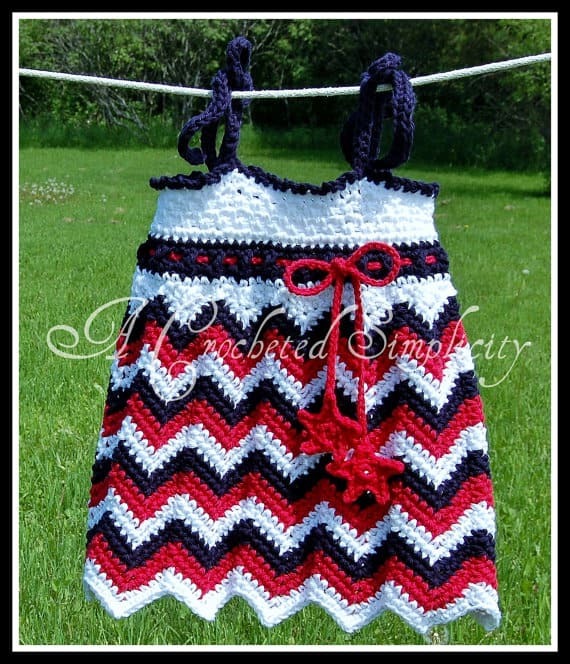 This adorable Chasing Chevrons tunic/tank/sundress is to die for. Just check out those adorable star ties! I’m in love! I don’t know why, but I love these Patriotic Pants! Maybe you need to make some for yourself! 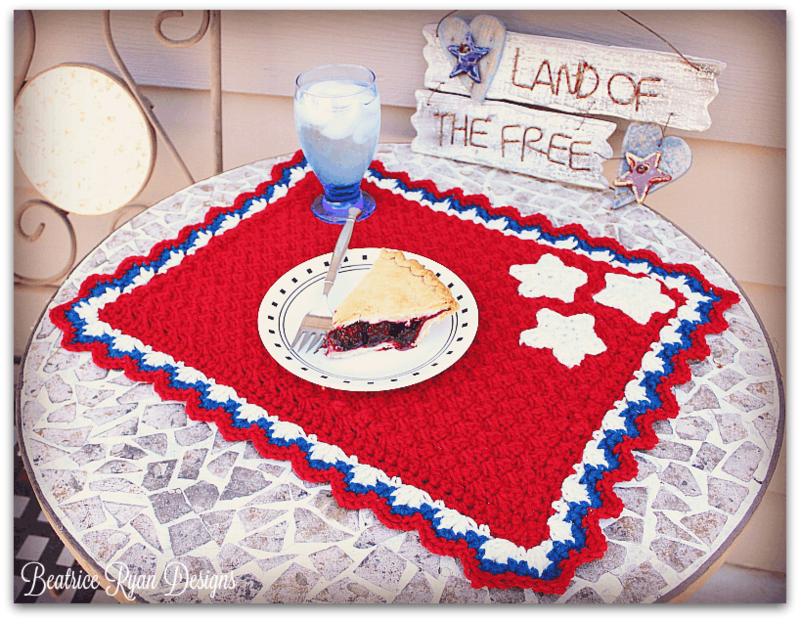 Set your summer holiday table with this great placemat! 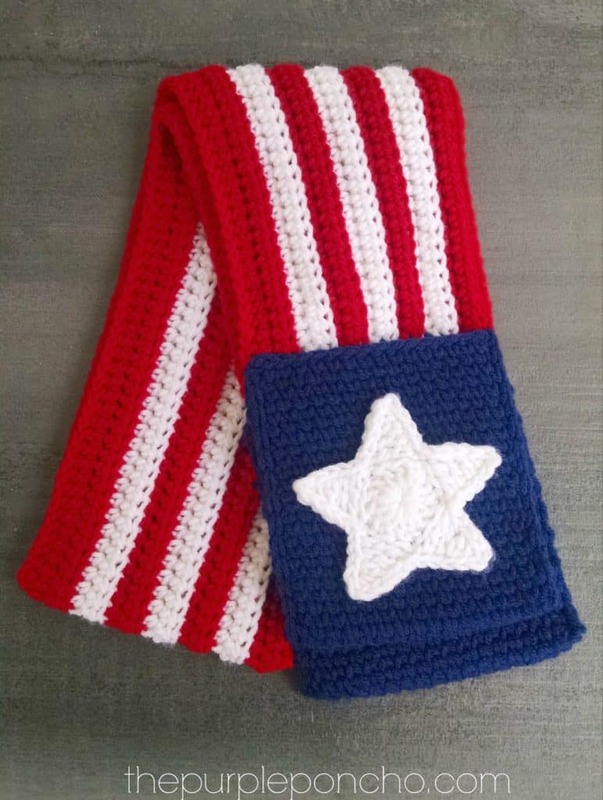 This Patriotic scarf is so sweet I just had to share it. That star just makes me smile! 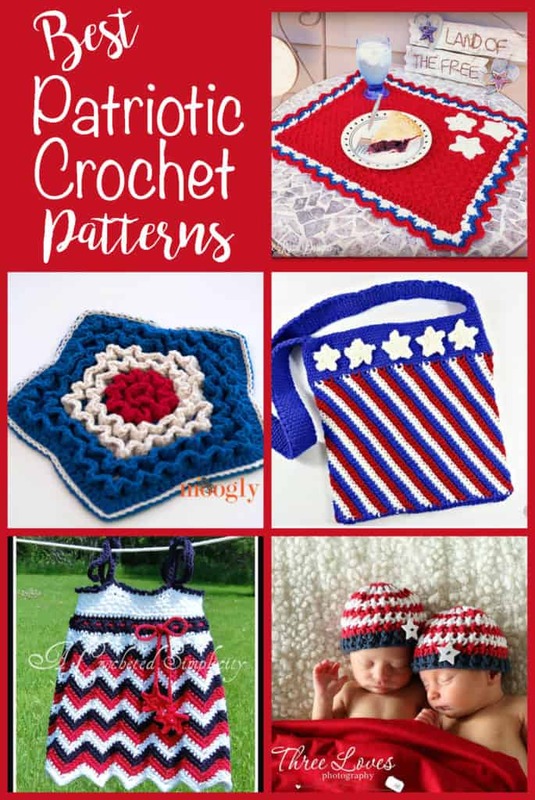 If you liked this collection of the Best Patriotic Crochet Patterns, be sure to check out the Flag Wine Cozy and the Free Flag Patterns. Oh, this are very nice patterns. I love it all. But i must waiting for baby, i am not grandma. My daughter has married, but my son is just without girlfriend.